What is the Best Way to Tackle Sleep Apnea? By now we know that people with sleep apnea are more likely than the general population to suffer from type 2 diabetes, high blood pressure, depression, heart disease, chronic kidney disease, accidents, and injuries. But all these serious consequences of sleep apnea fade in the shadow compared to the one discovered in a new study published in the Annals of the American Thoracic Society. In fact, it’s the one disease many of us dread the most! In this study, 1,752 participants were tested for sleep apnea. Then the research team used the Cognitive Abilities Screening Instrument to test for dementia. They also performed cognitive tests called the Digit Symbol Coding Test and the Digit Span Test. While the memories and attention spans of those who slept poorly during the night and were sleepy during the day were predictably affected, those whose blood oxygen levels were low and thus met the requirements for sleep apnea were much worse, bordering on and entering into the territory of… dementia. So why does sleep apnea cause dementia? You see, throughout the night your brain simply spends too much time without the required oxygen to maintain itself and to replace deteriorating cells with new healthy ones. This adversely changes your brain structure, causing dementia. Sleep apnea has traditionally been extremely difficult to diagnose, monitor and treat. Whereas it’s important to know where you stand with your sleep apnea (whether you’ve been diagnosed already or not), who wants to spend several nights a year in sleep laboratory hooked up with wires? The good news is that group of scientists got together and discovered the simplest and easiest way to monitor and diagnose sleep apnea. And this leads to even simpler cure for the disease. …all recorded and then manually analyzed. No wonder so few people with sleep apnea get the diagnoses they need. And even worse, if your sleep apnea gets better, there is no way to know (except going through that whole thing again). But the scientists in question went over previous studies to collect the information of 4,191 people treated in 13 sleep laboratories from around the world. What they discovered was that blood oxygen measurements were the only bits of data that were genuinely necessary, and that the rest of the polysomnography information was superfluous. In addition, they saw that a computer could automatically analyze blood oxygen levels, and that manual analysis of results was unnecessary. Therefore, sleep apnea can be diagnosed and through an automatic computer analysis of blood oxygen alone. Luckily, a device that can measure this is already available. It is called a pulse oximeter and it attaches to your fingertip to monitor the amount of oxygen carried through your blood stream. It automatically analyses the results and displays them. A reading of 90% or below is too low, while a reading of 95% or higher is considered normal. You can buy one in most pharmacies or your doctor should be able to lend you one. If you can monitor your sleep apnea mostly on your own, you can use it to track your recovery curing the disease. If you answer one or more of the above questions YES, then you absolutely must read today’s post. Because a new study found some terrifying connections between one of these conditions and undiagnosed problems with the other two. Previous PostPrevious What is the Best Way to Heal Snoring and Sleep Apnea? 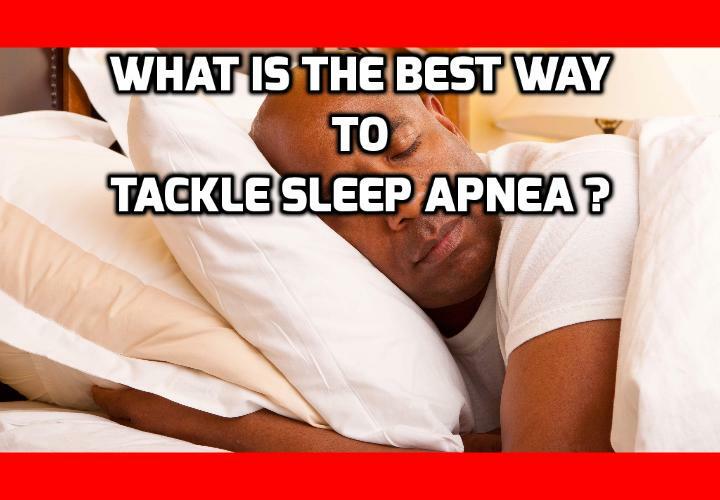 Next PostNext What is the Best Way to Permanently Cure Sleep Apnea?